Known World, Old World: Old School vs Old School Revival? Old School vs Old School Revival? Moving house (which has turned into a very drawn out process) has knocked my gaming temporarily, but has prompted me to think about the value I place on different aspects of my collection. What do I value? What would I hate to lose? And I realise that I prefer the OSR to the OS, despite my sentimental connection with the originals. And this lot doesn't in include my copies of Kevin Crawford's stuff, or my Lamentations of the Flame Princess adventures, etc. 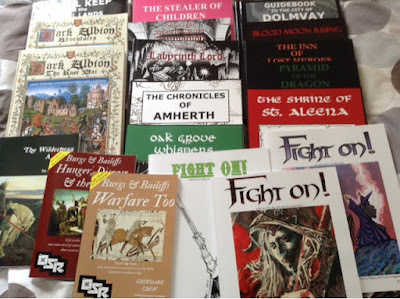 I realised that I could imagine selling my collection of TSR-era D&D materials - yes, even my Gazetteer collections - and play only using the vibrant, forward-looking products of the OSR without my gaming skipping a beat. 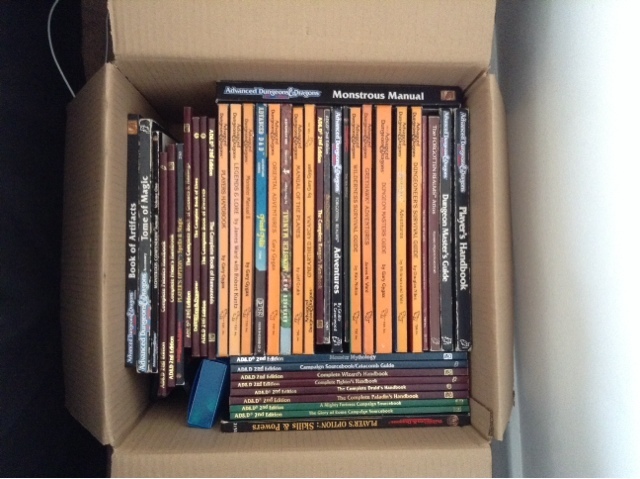 My heart might ache to lose the material that reminds me of the time when I first found D&D, but some of those books in that box are in danger of turning into memorabilia rather than resources. My impression is that OSR has the old school aesthetic with fewer insane rules. Except for a very few products, I've actually come to prefer the Old School rather than the OSR. Why? Can't rightly say. More than nostalgia. I think it has to do with comfort level maybe? Or just what I've become accostomed to. 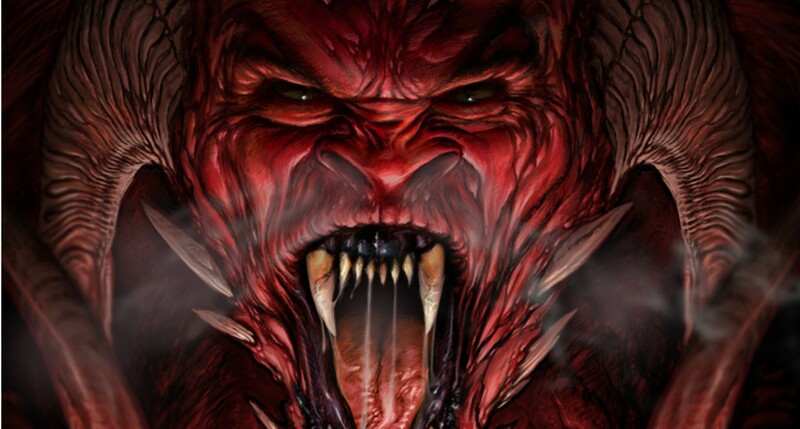 And a lot of the newer OSR stuff is just . . . not me. 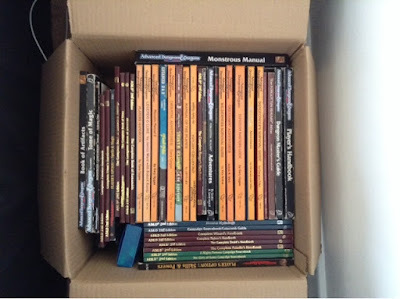 Common destiny, I have just moved to, and, as in your case, 4 boxes were full of rpgs stuff. And how heavy they were! But, as other stated above, I have no doubt I would surely choose to lose OSR books. This is not just for the content, but it is also for the perfume (smell?) that the old books, many of them bought around the world with eBay (can you imagine how rare is this kind of books in Italy? And nowadays seems to be back to the eighties as there is no D&D translation), release. And not to mention the notes penciled in by old gamers. I understand this is a nostalgic explanation, but I feel the hours of fun some other kids/adults had thanks to those pages. OS surely then is my choice. Ah man, I don't draw that distinction at all! I run BX-ish DnD using the best modifications from LotFP but reference a Moldvay book at the table. I just finished running Gormand's Larder which is just the definition of vibrant new OSR, and I dropped some hooks for the players leading them to Steading of the Hill Giant Chief by good ol' Gygax.